Q-Connect Gel Rollerball Pen Medium Black (Pack of 10) KF21716 Pack of 10 Q-Connect Gel Pens. Smooth writing gel pen with easy flowing ink and a comfortable rubberised grip section for maximum comfort and writing control. Ink colour - black. 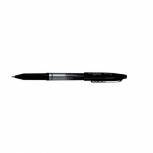 Uni-Ball UB-157 Eye Rollerball Pen Medium Black (Pack of 12) 9000700 Pack of 12 Medium line 0.7mm rollerball writing pen for smooth flowing writing. Generous ink reservoir with unique eye feature allows you to see exactly how much ink is left. Colour - Black. Uni-Ball Gel Impact Rollerball Pen 1.0mm Black (Pack of 12) 9006050 Pack of 12 Uni-Ball Gel Impact Rollerball Pens - UM153S. 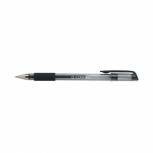 Gel ink rollerball with a broad tip for extra smooth writing performance. 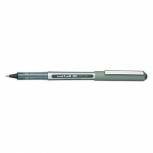 Smooth rubber grip for effortless writing control and a 1.0mm nib that produces a 0.6mm writing line. Ink Colour - Black. Uni-Ball Signo Gel Grip Rollerball Pen Medium Black (Pack of 12) 9003950 Pack of 12 Uni-Ball Gel Grip Rollerball Pen - UM151S. Gel ink rollerball with a stainless steel tip for precision writing and rubberised comfort grip for effortless writing. Line width - 0.4mm. Ink Colour - Black. 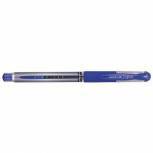 Uni-Ball UB-157 Eye Rollerball Pen Medium Blue (Pack of 12) 9000701 Pack of 12 Medium line 0.7mm rollerball writing pen for smooth flowing writing. Generous ink reservoir with unique eye feature allows you to see exactly how much ink is left. Colour - Blue. 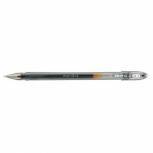 Uni-Ball UB-150 Eye Rollerball Pen Fine Black (Pack of 12) 9000500 Pack of 12 Controlled ink flow system and stainless steel precision tip for smooth writing performance. Unique eye lets you see how much ink is left. 0.2mm fine line. Colour - Black. 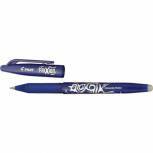 Pilot FriXion Ball Erasable Rollerball Pen Fine Blue (Pack of 12) 224101203 Pack of 12 Smooth gel ink. Rubber grip. No chemicals needed to erase. Same ink writes and overwrites. CAUTION: Heat sensitive ink. Do not use for signatures, important or legal documents. Colour: Blue. Pilot FriXion Ball Erasable Rollerball Pen Fine Black (Pack of 12) 224101201 Pack of 12 Rollerball pen erases cleanly by friction-generated heat. Uses the same ink to write and over-write. Fine 0.7mm tip. This product is not recommended for signatures, legal documents or examination papers. Black. Q-Connect Gel Rollerball Pen Medium Blue (Pack of 10) KF21717 Pack of 10 Q-Connect Gel Pens. Smooth writing gel pen with easy flowing ink and a comfortable rubberised grip section for maximum comfort and writing control. Ink colour - blue. 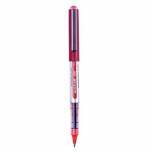 Uni-Ball UB-157 Eye Rollerball Pen Medium Red (Pack of 12) 9000702 Pack of 12 Medium line 0.7mm rollerball writing pen for smooth flowing writing. Generous ink reservoir with unique eye feature allows you to see exactly how much ink is left. Colour - Red. 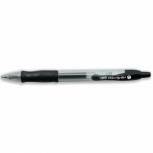 Pilot G1 Gel Ink Rollerball Pen Medium Black (Pack of 12) G10701 Pack of 12 Pilot G1 Gel Ink Rollerball Pen. Gel ink rollerball pen offers exceptionally smooth writing. Contoured barrel for comfort. Fine 0.7mm nib for a 0.4mm line width. Black. Pack of 12. 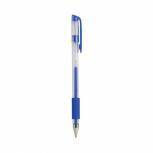 Pilot G1 Gel Ink Rollerball Pen Medium Blue (Pack of 12) G10703 Pack of 12 Pilot G1 Gel Ink Rollerball Pen. 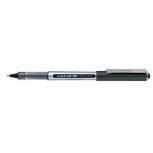 Gel ink rollerball pen offers exceptionally smooth writing. Contoured barrel for comfort. Fine 0.7mm nib for a 0.4mm line width. Blue. Pack of 12. 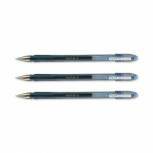 Pentel Ball Rollerball Pen Medium Black (Pack of 12) R50-A Pack of 12 Rollerball pen with hard alloy tip. Cushioned ball tip for smooth writing. Water based ink. Fine 0.8mm nib for 0.4mm line width. 76 percent recycled. Black. Pack of 12. 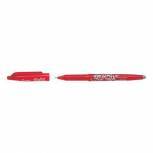 Pilot FriXion Ball Erasable Rollerball Pen Fine Red (Pack of 12) 224101202 Pack of 12 Smooth gel ink. Rubber grip. No chemicals needed to erase. Same ink writes and overwrites. CAUTION: Heat sensitive ink. Do not use for signatures, important or legal documents. Colour: Red. Uni-Ball UB-150 Eye Rollerball Pen Fine Red (Pack of 12) 9000502 Pack of 12 Controlled ink flow system and stainless steel precision tip for smooth writing performance. Unique eye lets you see how much ink is left. 0.2mm fine line. Red. 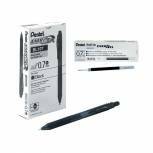 Pentel EnerGel X Retractable Gel Pen Medium Black (Pack of 12) BL107/14-A Pack of 12 Pentel Hybrid Retractor Grip Gel Ink Pen - K157. 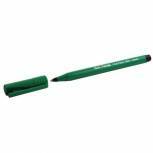 Features smooth flowing pigment gel ink and a fine line width and comfortable rubber grip. Black Ink. 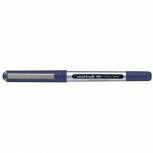 Uni-Ball Signo Gel Grip Rollerball Pen Medium Blue (Pack of 12) 9003951 Pack of 12 Uni-Ball Gel Grip Rollerball Pen - UM151S. 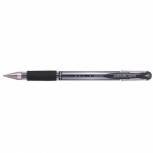 Gel ink rollerball with a stainless steel tip for precision writing and rubberised comfort grip for effortless writing. Line width - 0.4mm. Ink Colour - Blue.